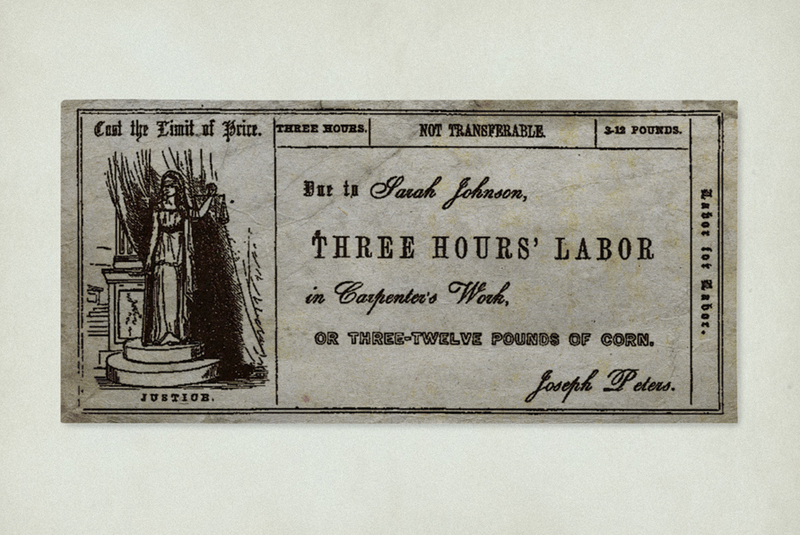 A store where customers could purchase goods with "labour notes", which represented an agreement to perform labour. This was determined on the principle of the equal exchange of labour, measured by the time taken, and exchanged hour for hour with other kinds of labour. Warren embraced the labour theory of value, which says that the value of a commodity is the amount of labour that goes into producing or acquiring it. 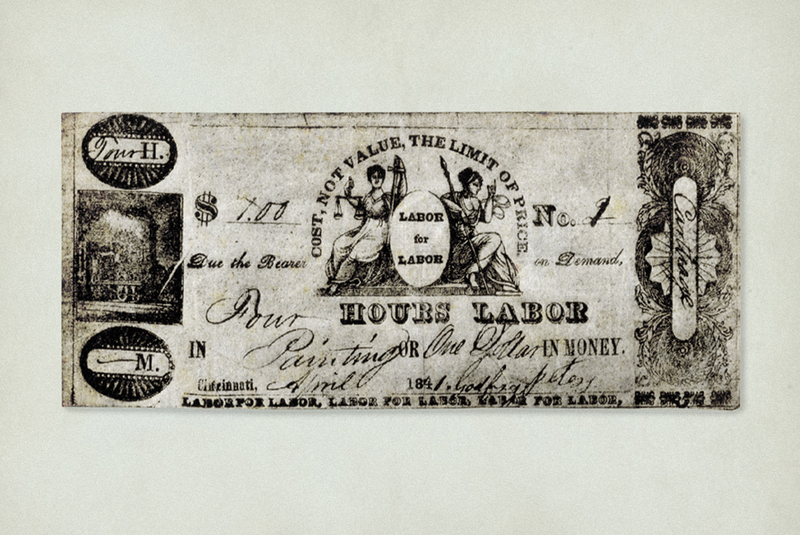 Warren summed up this policy in the phrase "Cost the limit of price," with "cost" referring to the amount of labour one exerted in producing a good. 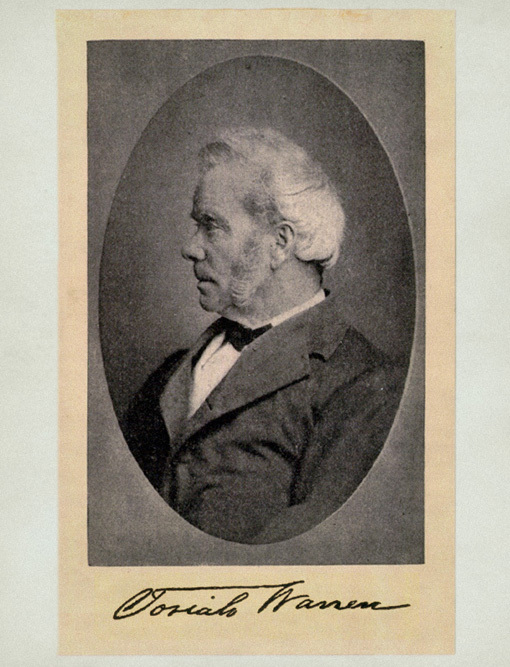 He set out to examine if his theories could be put into practice by establishing his "labour for labour store". His experiment proved to be successful. Anyone could purchase goods without money but with an exchange of labour. Created a new system in how to value goods. Josiah Warren, inhabitants of Cincinnati.